Lisle Ellis is a multifaceted creator whose work reflects his interests in music, visual art, computers/technology, and community. 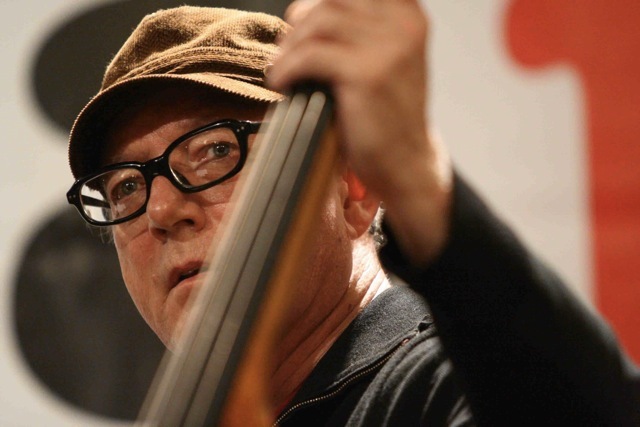 As a composer and improvisor-bassist his oeuvre spans three decades and two countries and has brought him international recognition as an artist with an exceptional vision. Some critics consider him to possess an important voice and to have made a significant contribution to the field of experimental music. Recent years have also brought him attention as a creator of computer/electronic music and as a visual artist. Ellis began playing electric bass in his teens and worked professionally from an early age in numerous environments including studios, radio & tv shows, and even strip clubs. When his teacher and mentor, Walter Robertson, suddenly died in 1974, Ellis abandoned his studies at a music conservatory in Vancouver, Canada in favor of the seminal, and now legendary, Creative Music Studio in New York. There, over a period of several years, he had intimate contact with the vital NYC music scene at a time of surging changes and extraordinary developments. Lisle Ellis, as the 1986 winner and first recipient of Canada's prestigious Frederick Stone Award -- given annually to a musician for integrity and innovation -- affirms the pioneering role he played in the development of improvised and experimental music in his native Canada. Particularly, in Vancouver in the early 1980's, and the late 80's in Montreal, Ellis was a conspicuous activator of musician alliance organizations, performance venues, and concert series presentations. One collective in particular, Vancouver's New Orchestra Workshop, is still active nearly thirty years later. Almost immediately after relocating to the United States in 1992, Ellis's music began to attract attention and acclaim on a global level. His recording, Kaleidoscopes: The Ornette Coleman Songbook (Hat Art), with pianist Paul Plimley, was given five stars in Downbeat Magazine and has been hailed as a modern masterpiece. Ellis's distinct instrumental voice has been heard in a multitude of concerts on the world stage in the company of legends of the avant-garde such as Paul Bley, Peter Broetzmann, Andrew Cyrille, Joe Mcphee, and Cecil Taylor; leading contemporary players Marilyn Crispell, Dave Douglas, Fred Frith, and John Zorn, and on more than 40 recordings for international labels such as Black Saint, DIW, and Hat Art, and New World. Currently, Ellis's principal interest is in developing an electro-acoustic architecture he calls string-circuitry-confluence. Secondary to that are projects such as his long standing trio with Larry Ochs and Donald Robinson called What We Live, Di Terra, an Italy based trio with Alberto Braida and Fabrizio Spera, and duos with pianists Paul Plimley and Mike Wofford. Ellis lives in New York City.